The new Birmingham Poet Laureate has been named as Richard O’Brien. The lecturer in Shakespeare and creativity at the University of Birmingham was confirmed in the role at a National Poetry Day event at the Royal Birmingham Conservatoire as part of the Birmingham Literature Festival on 4th October. Richard succeeds Matt Windle as the city’s poet laureate. 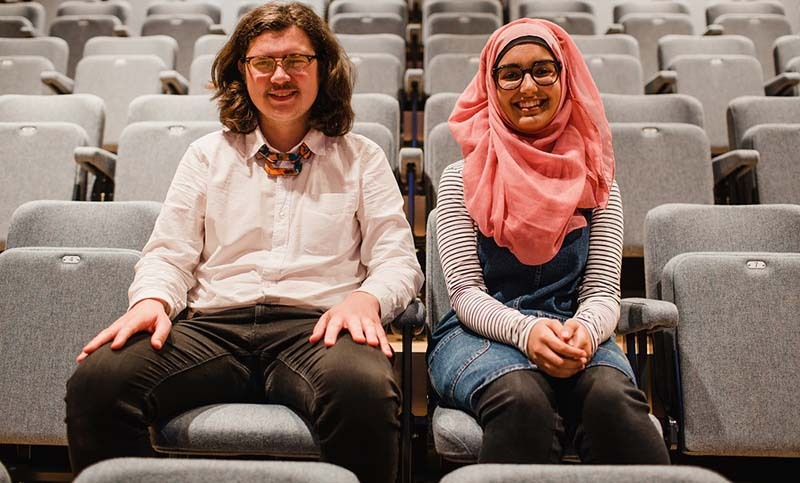 The event also saw 15-year-old Aliyah Begum, from Acocks Green, named as the 14th Young Poet Laureate. The Year 11 King Edward VI High School student will join Richard in producing new works and promoting poetry across the city. Jonathan Davidson, chief executive of Writing West Midlands and chair of the selection panel, said: “Choosing the new Birmingham Poet Laureate and Birmingham Young Poet Laureate was particularly difficult this year. “We had an excellent range of applications from some very talented poets. “Our two new Poet Laureates will be wonderful ambassadors for the city and have some great ideas for helping people get involved in poetry. The selection panel included representatives of Birmingham Libraries, Poetry on Loan and the Verve Poetry Festival. Councillor Jayne Francis, Cabinet member for education, skills and culture at Birmingham City Council, said: “Congratulations to both Richard and Aliyah. “Birmingham is home to a wealth of literary talent and our poet laureates have played an important part in promoting poetry for over 20 years, so I’m eager to see what works they produce.